These are silhouettes of people skating - roller skating on the roads as well as ice skating. 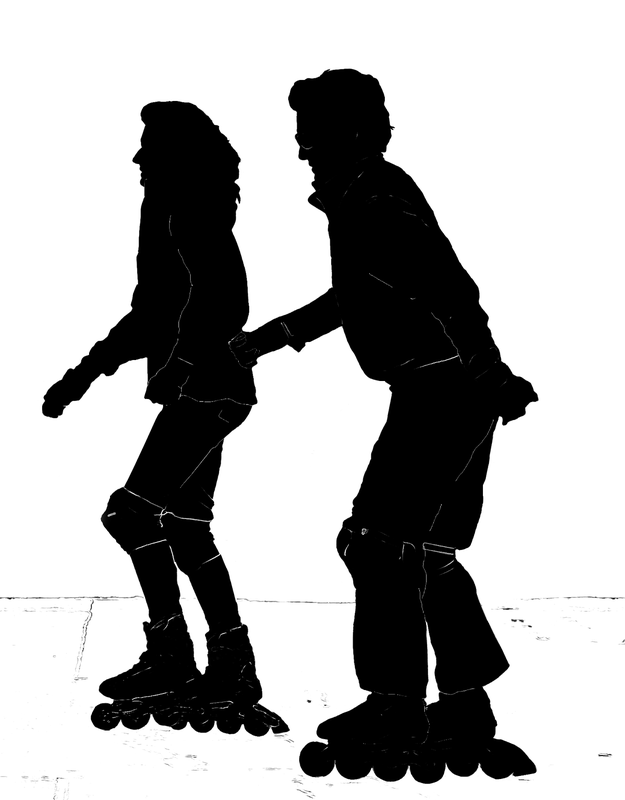 The first image is a silhouette of a couple roller skating on a road side by side. They are all dressed up against the cold with jackets. They are also wearing knee pads. This is a Caucasian couple. These are silhouettes of girls and women skating on an ice rink. The ice skating silhouettes are based on photos taken in Bangkok and are silhouettes of Asians. 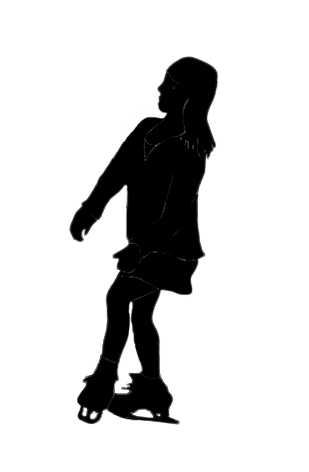 This silhouette is of a young girl sliding along in a sitting position on the ice rink. 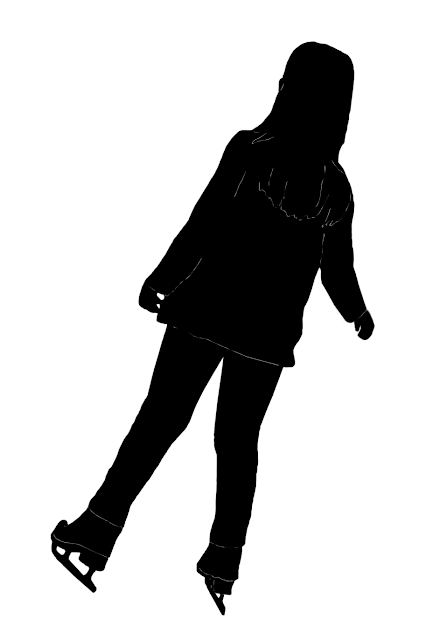 A silhouette of young girl gliding gracefully on an ice rink. 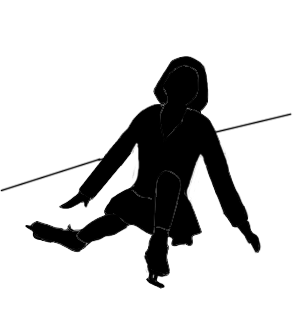 A silhouette of an Asian woman ice skating.